Standalone DLC Uncharted: The Lost Legacy will launch exclusively for PlayStation 4 on August 22nd, Naughty Dog has confirmed. Priced at $39.99, the action-adventure offshoot follows Chloe Frazer and Nadine Ross as they journey into the depths of India’s Western Ghats mountain range, all in the name of finding a fabled artifact known as the Tusk of Ganesh. 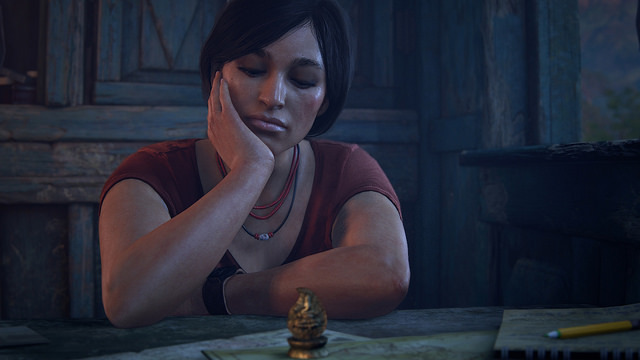 In classic Uncharted fashion, they won’t be the only ones on the hunt for treasure, and though Naughty Dog has kept The Lost Legacy‘s story under wraps hitherto, a new gameplay demo released today sheds light on Chloe and Nadine venturing upriver. One thing’s for sure: Uncharted: The Lost Legacy is a visual treat to behold. Expect the trademark mix of blockbuster action and compelling character moments, with the studio’s blog post delving into the original story that awaits Chloe and Nadine, one which takes place around six months after the events of Uncharted 4. In December we said that we’re approaching this project as a true Uncharted game—complete with its own deep narrative with complex character development, all-new destinations, refined gameplay, and blockbuster cinematic moments. We’re especially excited to have Chloe as our new protagonist and explore more of her story as she and Nadine venture across India in search of the fabled Tusk of Ganesh. To that end, we wanted to share a new scene from early on in the game as Chloe and Nadine try to unravel the clues leading to the Tusk’s location. Finally, anyone who pre-orders Uncharted: The Lost Legacy at participating retailers will get a free digital copy of Jak and Daxter: The Precursor Legacy, the upcoming HD compilation that bundles together all four of the original Jak and Daxter games for PlayStation 4. If you choose to secure your copy via the PlayStation Store, there’s also word of a free digital theme designed by Truant Pixel. Expect more details to emerge on both pre-order incentives closer to the time. Uncharted: The Lost Legacy graces PS4 on August 22nd – just don’t hold your breath for a Nathan Drake cameo.